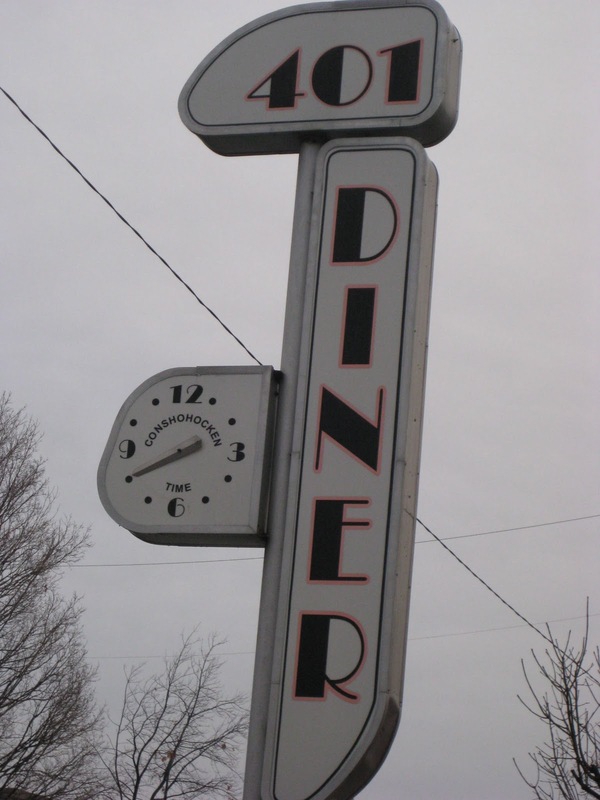 The 401 Diner, our favorite breakfast spot, closed its doors yesterday for the last time after being a fixture in our local neighborhood for the past 10 years. It’s not like you could argue that it was the best breakfast place around. But it was OUR place and it’s sad just the same. 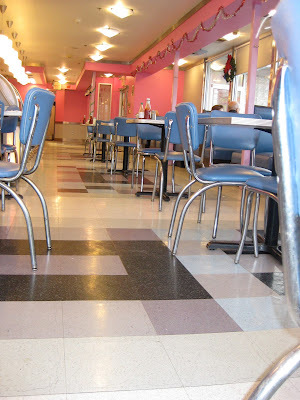 With its old style ice cream bar counter with the swivel stools, usually with one that displayed a sign “Broken”. 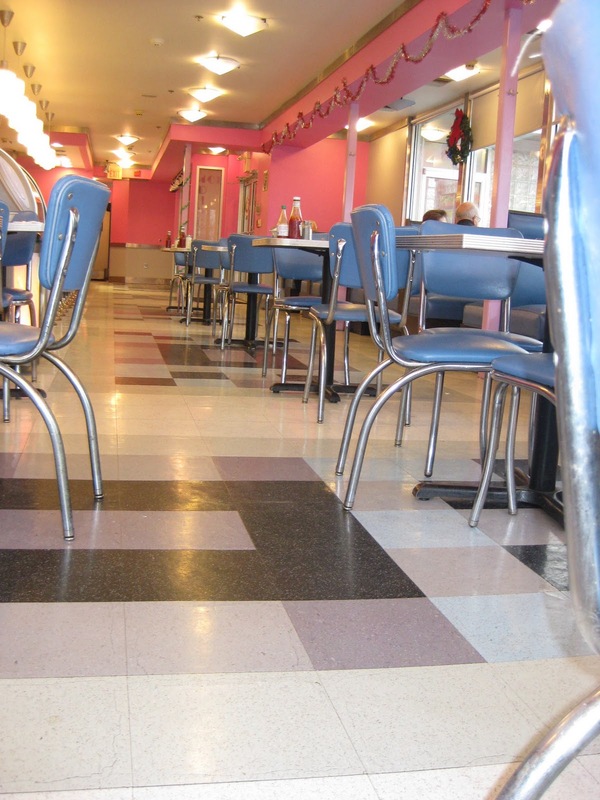 With its homey blue leather booths and tables that occasionally were propped stable by customers with multiple folded paper napkins. 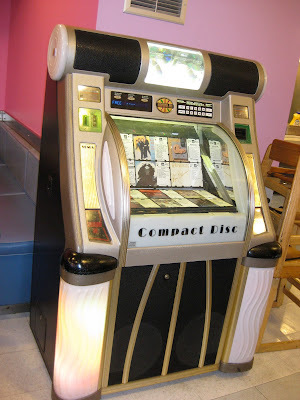 And a jukebox that would magically begin playing pop tunes from the 60’s including the Temptations, The Shondells, Sinatra and a little mix of Jimmy Buffett. It was always a mystery as to when it would start up, but we would find ourselves inconspicuously lip syncing to the tunes. The “usual” consisted of the same thing. Me, always the Blueberry Pancake short stack. The Professor ... Eggs Benedict WITHOUT the sauce. (I KNOW! But he does try to watch his girlish figure which is unlike my ballooning menopausal waistline.) We would leisurely read our Philly and NY Times newspapers long after our breakfast was over, only conscious to the crowd should our table be needed. We had many long conversations over writing, politics, football, movies, books, actors, friends, possible new business ideas drawn on napkins. It was a time to connect, to be present with each other before the day’s distractions were upon us. I mourn the closing of the 401 Diner. Not only for the friends who have lost their jobs, but also the ending of a special time for The Professor and myself. It is a reminder to me how we too often take for granted those around us. How we expect they will be here today and the day after that, without much thought that they could suddenly be gone. I think I’ll give The Professor an extra hug this morning and tell him how much I appreciate him. How unusual. The grocery store where I used to work was store #401, and I have the exact same feelings about that place as you do this diner. The store closed a little over two years ago and moved to a larger location, but I will always have this longing for the old one. It was small, somewhat dirty, and dark, but it was our spot. It was our home and our family. I know exactly what you mean. Family can be defined in so many ways and we find it sometimes in the most unusual places.